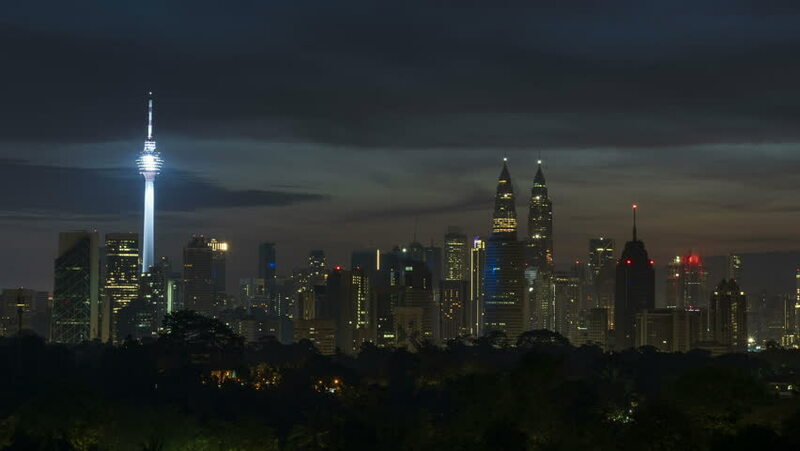 hd00:12Time lapse: Kuala Lumpur city view during dusk at twilight overlooking the city skyline as the moon rises behind buildings. Motion timelapse zoom out. Full HD 1080p. 4K available. hd00:06Aerial time lapse of skyline overlooking a busy freeway at night. SOOC.